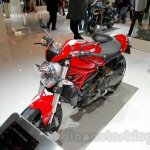 The duo get feature additions as well. 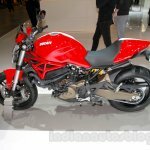 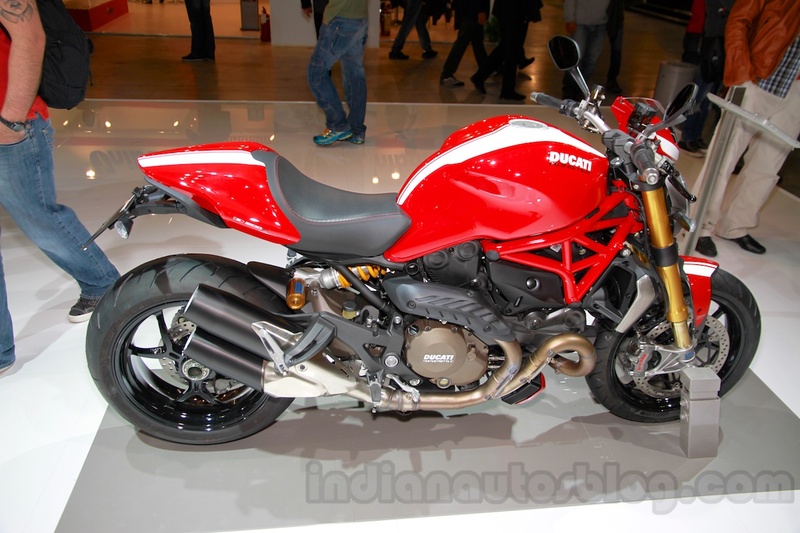 The Ducati Monster 1200 S Stripe and Monster 821 Stripe have been introduced at the 100th edition of the EICMA in Milan, Italy, today. 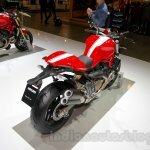 The duo, as the name suggests, introduce a new livery. 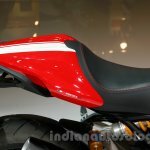 Available in red body color, the Stripe edition adds a white racing stripe across the front fender, fuel tank and passenger seat cover. 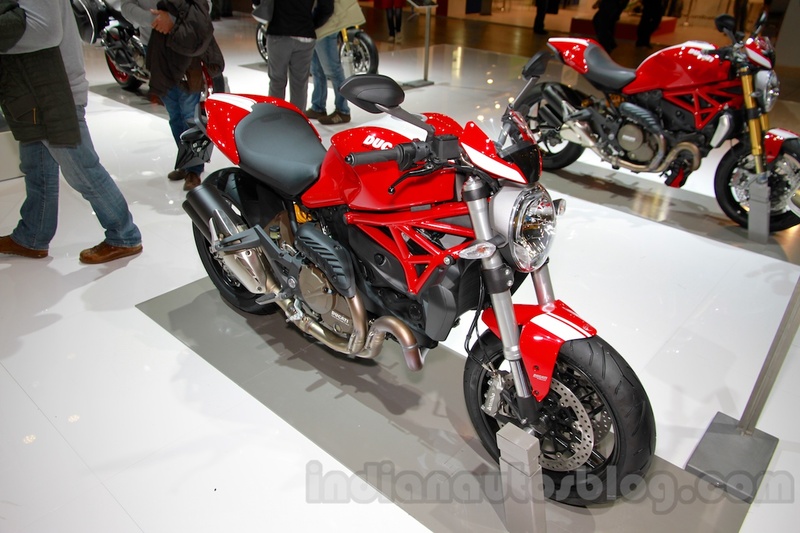 The trellis frame is painted red and the wheels come with a black finish. 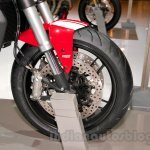 In terms of equipment, the 1200 S Stripe edition adds a Ducati Performance undertail rear plate holder and carbon belt covers. 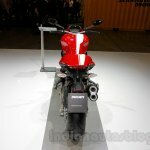 The rest of the equipment is same as the regular Monster 1200 S.
Power comes from the 1,198 cc L-Twin motor which churns out 145 hp and 125 Nm of torque. 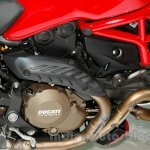 The transmission is a 6-speed unit. 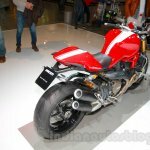 In terms of livery, the Monster 821 Stripe is similar to its big brother with a red body color and a continuous white stripe. 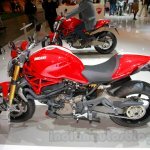 The new edition gains a fully adjustable Kayaba inverted telescopic fork upfront. 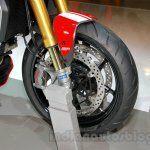 The rear suspension continues to be the Sachs monoshock. Its 821 cc L-Twin engine is capable of 112 hp and 65 Nm of torque and comes mated to a 6-speed transmission. 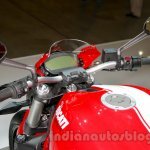 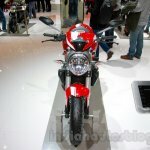 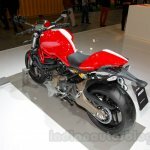 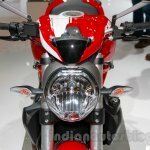 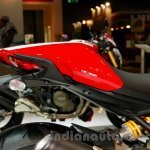 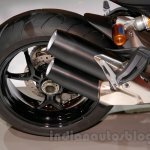 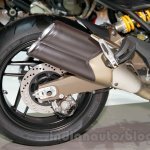 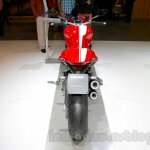 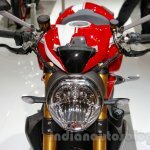 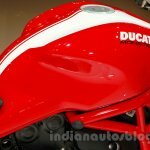 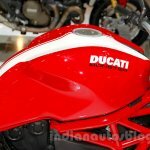 Ducati has not revealed the pricing of the bikes. 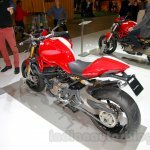 As these are variant extensions they will be available alongside the existing models.